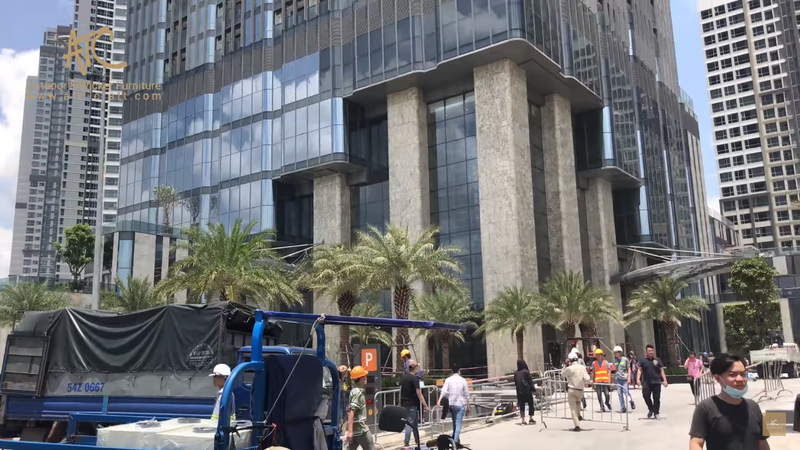 The hottest news of the week: Landmark 81 is officially inaugurated on July 26, 2018. The amazing supertall building is located in Ho Chi Minh City (HCMC), Vietnam. People believe this will be the next hotspot of the town with many awesome hangout areas. Let’s see why people anticipate the opening day and how ATC – Top Wicker Furniture Manufacturer ‘s products brighten homes and stores. Vietnamese, especially Saigonese (residents of HCMC), is proud to have such an iconic building in the town. 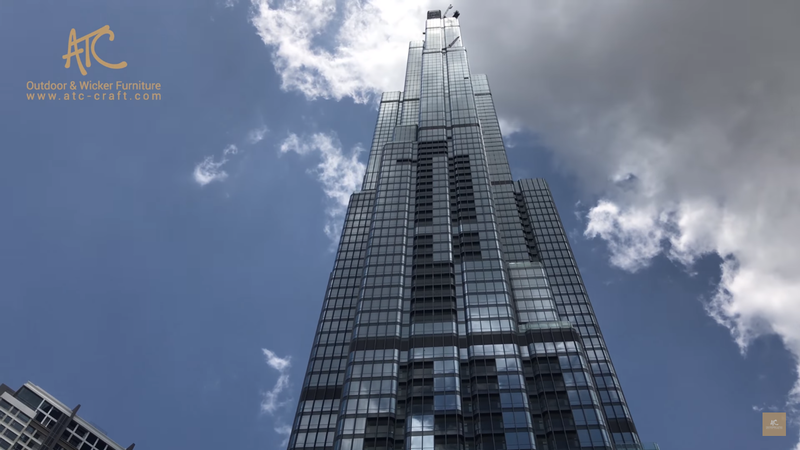 Landmark 81 is now the tallest skyscraper in Vietnam. Also, it’s one of the highest building in Southeast Asia and writes its name on the list of top tallest architecture in the world. This is a project developed by Vingroup – one of the largest Vietnamese corporation. The tower is the spotlight of the multi-use area called Vinhomes Central Park. A British firm dedicatedly designed this piece of art with meaningful structure. The building represents a traditional icon of Vietnam – bamboo tree. With neo-futurism style, the skyscraper provides a modern experience in this high-tech century. It takes the place of Bitexco Financial Tower to become the highest building and new icon of HCMC. Every outdoor furniture supplier would want to enhance the beauty of it, and a top wicker furniture manufacturer like ATC also doesn’t want to miss the chance. The skyscraper, with 81 stories, consists of many apartments, businesses and observation sections on top. People in Vietnam, especially in HCMC, are excited to enjoy the services in Landmark 81. The preparation before officially inaugurating includes stores arrangement and area furnishing. Business owners, as well as homeowners, are hurried in looking for home furnishings and decorations for this new place. There are many choices to beautify the areas, as long as they’re suitable, durable and stylish. Among many providers in Vietnam, ATC – an outdoor furniture supplier – is pround to be the trusted manufacturer. This top wicker furniture manufacturer supplies for homes and stores here with elegant yet sturdy outdoor wicker sofa sets, dining sets, hanging swing chairs, etc. The hotspot of the skyscraper, apart from the observation top, is definitely Vincom Center. It’s an entertainment complex with many different luxury brands clothing shops, famous restaurants, and cafés. 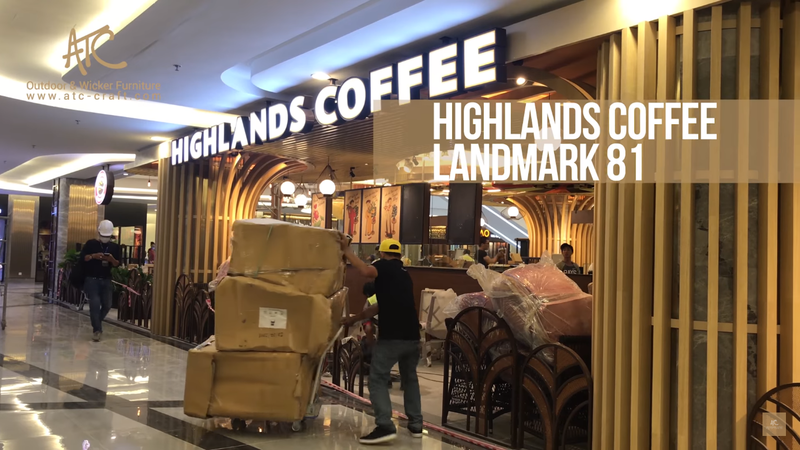 One of the people’s favorite coffee chains – Highlands Coffee – placed a store in this new mall. Being a trusted partner for many years, ATC Outdoor Furniture Supplier is glad to keep providing café furniture for the coffee shop. The style of wicker products is Asian-like yet has a modern feeling for this new shopping center in a state-of-the-art building. Each of our café furniture is carefully manufactured and delivered to Highlands Coffee’s new store. The nice arrangement and beauty of the furnishings sure help highlight the place. People would love to enjoy the coffee on these comfortable and stylish chairs while being surrounded with charming decorations. Being the top wicker furniture manufacturer, we only choose high grade materials – synthetic rattan is an example – to make those stable and comfy chairs. If you are looking for a refreshed piece of café furniture for your stores, or just want to know what is like to have a high quality wicker furniture in your house, ATC is an ultimate option. To create the best experience for visitors, all staffs are working hard from the pre-open days until now. In the end, your satisfaction is what drives us to be as perfect as possible.